For many media buyers, the more prominent the ad, the better the ad. Case in point: earlier this year, GM pulled its paid campaigns on Facebook in a very public way prior to the social network’s highly-anticipated IPO. The back story: Facebook had rebuffed GM’s demand for bigger, bolder ads. While Facebook has become more aggressive in integrating advertising into the world’s most popular social network, it had a pragmatic reason for saying no to GM: consumers hate bigger, bolder ads just as much as media buyers love them. The good news for companies like GM: when it comes to annoying consumers, there are plenty of options. So which kinds of ads create the most consumer frustration? To find out, digital ad platform provider Respond conducted a survey of more than 1,000 UK consumers. The results? Video ads that automatically play upon page load were the most annoying format, with nearly three-quarters of respondents indicating that these were irritating. 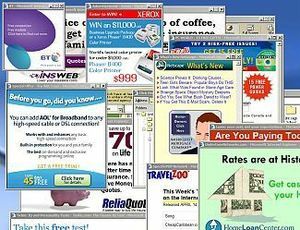 Pop-ups and pop-unders were the second and third most annoying ad formats, with 69% and 56% of those polled, respectively, saying that these were an annoyance. With 52% and 38% of respondents, respectively, calling them irritants, expanding ads and in-content ads that appear when a user hovers over a word rounded out the five worst ad formats from the consumer perspective. Are you a media buyer (or seller for that matter) not trading in any of these ad formats? Don’t breathe a sigh of relief yet: over a third of survey participants (37%) have a high standard, stating that ads they deem irrelevant are a turn-off. Not surprisingly, the most annoying ads are likely to grab a user’s attention, which is why media buyers are willing to pay a premium for them. But the cost of putting revenue before usability can be significant for publishers. 62% of those Respond polled said that they were likely to abandon a page with annoying ads, and 55% went so far as to claim that they would be less likely to return to the offending site altogether. Interruptive ad formats are hugely unpopular with website visitors, and although they can generate revenue for digital publishers in a tough economic climate, the risk is this seriously undermines efforts to build a loyal audience. Given how difficult it can be to reach consumers through online ads without annoying them, and the prevalence of ad blocking software (Respond says 62% of those it surveyed are or will use ad blockers), it’s no surprise that media buyers and media sellers are working together to blur the lines between advertising and content. The rise of the advertorial, or “branded content” as it now being called, has emerged as one of the most popular examples of this. The Huffington Post, Business Insider and BuzzFeed are just a few of the high-profile digital publishers entering the space. But is this, or something like it, the solution? Branded content may not seem as annoying, but the reason annoyance is so annoying is that it decreases the perceived value of the experience being offered to the user. If advertorials don’t increase the value, don’t be surprised to see them on the list of most annoying ad formats a few years down the line. Will Facebook’s Page notifications silence Edgerank complaints? In May, the world’s largest social network went public in what was one of the most highly-anticipated IPOs in history. But, as Metallica might say, the soothing light at the end of Facebook’s tunnel turned out to be a freight train. Thanks to an exorbitant valuation, exchange glitches and growing skepticism about Facebook’s ability to make money, shares of Facebook stock, which was priced at $38, were quickly battered to the twenties, and then to the teens. Facebook can’t turn back the hands of time and redo its public debut, but it can convince Wall Street that it is going to make money and lots of it. And that’s precisely what it has been focusing on since May. With mobile usage skyrocketing, it’s no surprise that large brands are increasingly investing in mobile ad campaigns. But what about small businesses? If mobile is ever going to grow into the advertising behemoth some believe it’s destined to become, small and local businesses will need to be on board too. And, according to a recent study, they are. Asda designs ‘most convenient photo site in the UK’. But is it? It sells a range of personalised products including canvases, pet beds, mugs and stationary. Customers can upload images directly from their computer or social networks. So now any photos you’ve uploaded to Facebook, Picasa, Instagram or Twitter can be turned into a personalised dog’s bed. Never one to turn down a challenge, I thought it would be interesting to test Asda’s claim that it’s the UK’s most user-friendly photo site and see if there were any glaring UX errors.